For thousands of Jets fans, Thursday’s 13-10 preseason victory was a welcome start to the season, but the game wasn’t mainly about defeating the Colts. 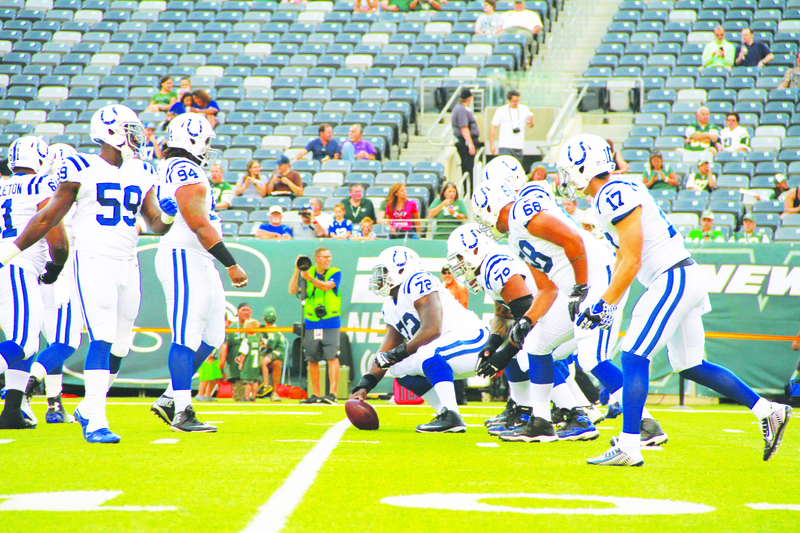 Fans were looking to evaluate the play of the team’s two quarterbacks, Michael Vick and Geno Smith. Both Vick and Smith are competing to be the starter, and after last week’s game, it appears that it’s going to be a close competition. The Jets hope this collaboration helps the 23-year-old Smith’s maturation process. Smith had an up-and-down rookie year, but there were certainly bright spots: According to the Jets’ website, Smith not only had the most passing yards in a single season for a Jets rookie — registering 3,046 yards — but also had the highest completion rate for a rookie, with 55.8 percent. In Thursday’s game, Smith finished 4 of 6 for 33 yards. He played two drives — one ended in a punt, while the other led to a field goal. Meanwhile, Vick made several decisions that left fans cheering. He scrambled for 15 yards on one play and also led the Jets on their best drive, which ended with a one-yard touchdown run by new running back Chris Johnson. Smith undoubtedly has a lot to learn from Vick. Both quarterbacks will have to work hard to bring the best out of the second-year player. “We just have to continue to be cohesive and work as one unit,” Smith said. This entry was posted in Sports and tagged Indianapolis Colts, Michael Vick, New York Jets, SJP2014 on August 11, 2014 by pusjp.